Maximizing Progress: Utrecht Cycle Jive ~ Bikes in a Livable Dutch City! 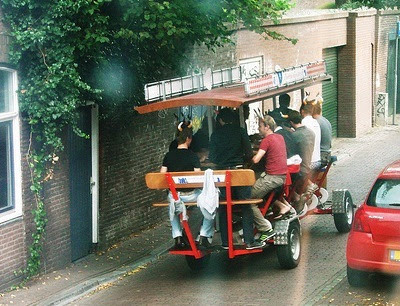 Utrecht Cycle Jive ~ Bikes in a Livable Dutch City! Amy in .nl spots Utrecht Cycle Jive by Amsterdamize's Marc van Woudenberg! Bikes in my favorite Dutch city... And here's more proof courtesy A Flamingo in Utrecht that true civilization is indeed pedal-powered -- witness the beer bar bike!